Today I am excited to share with you another Heffy Doodle Video. In This video I create an upgraded version of a card that I designed for my "On The Make" Crafty Events card class on Feb, 3rd in Savage, Maryland. It's a Valentine Extravaganza! 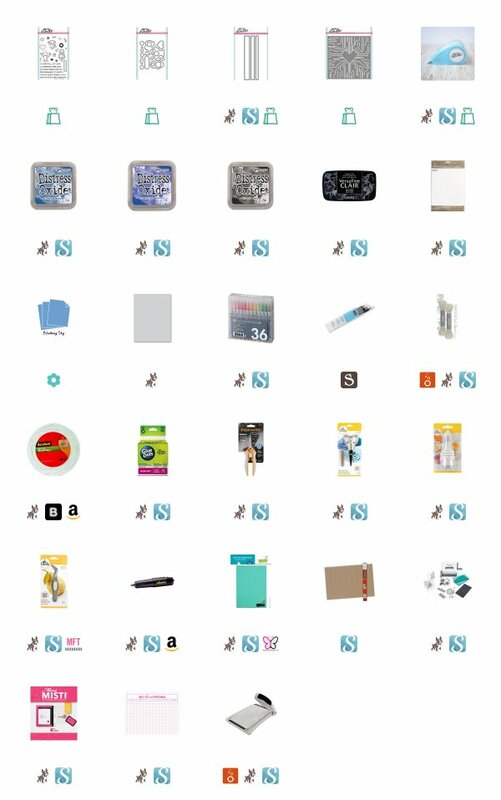 Anyway, for this one, I make a few extra parts and pieces to "upgrade" my card a little. I use the NEW Heffy Doodle Bots of Love stamp set and coordinating dies to create a cute and masculine valentine card. I'm thinking about making so many more with this set, it's just so adorable. 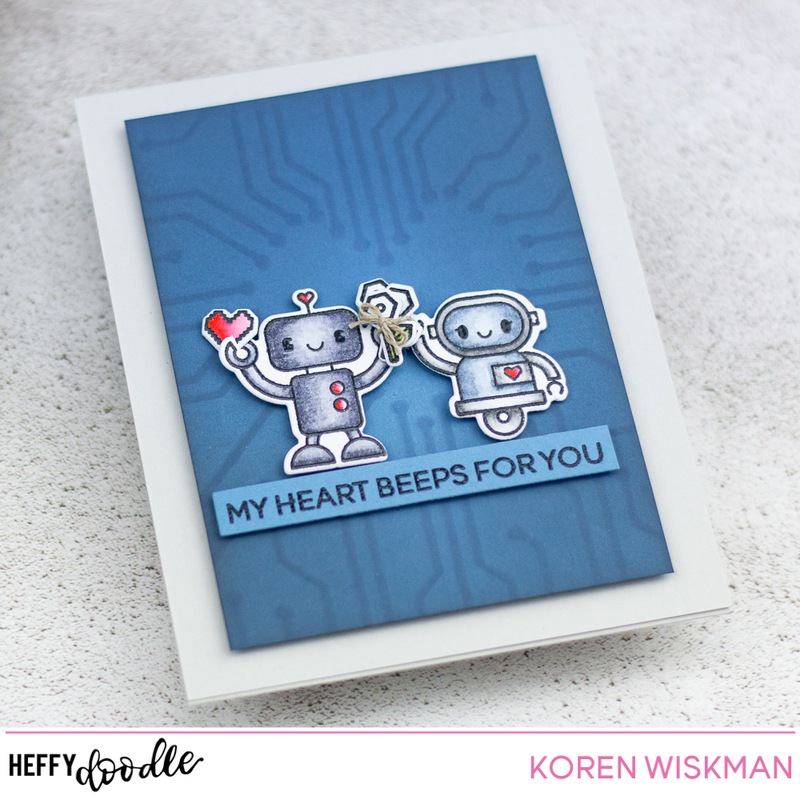 I also used the NEW Heffy Doodle Love Circuit Stencil. 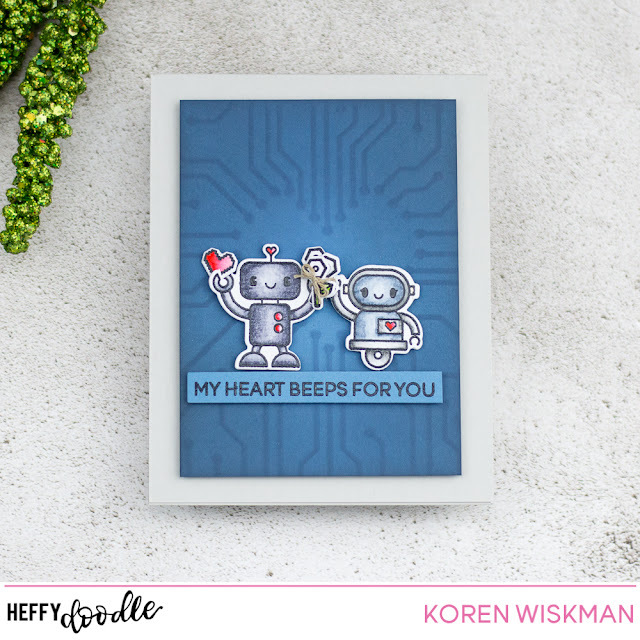 This is the perfect stencil to create with this robot theme card. I will link below to my YouTube video that I created while making this card and a few extra things. 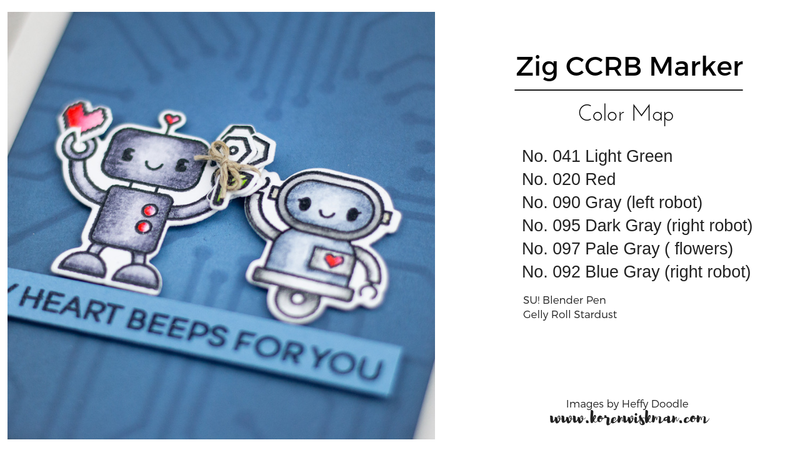 I made a Zig Clean Color Real Brush Marker Color Map so that you can see all the different markers I used to watercolor my image. I also took a few photos for you to enjoy.